Turn your records into a book! Enjoy your pregnancy even more! 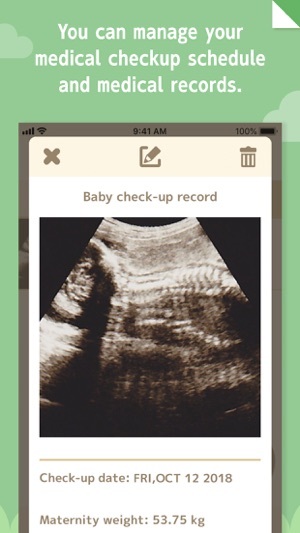 280days is a pregnancy record and diary app that allows you to further enjoy your pregnancy. Enjoy creating pregnancy records and diary entries as a couple and share information on the baby's condition and Mommy's physical condition with each other. The pregnancy records you created can be exported as a book later. You can thereby preserve your priceless memories saved in 280days in a single book. Writing an AppStore review about the specific issues you are facing when using the app will not allow us to help you solve the issues, as we will not be able to check any detailed information through the review. If you run into any issues, please contact us through the app, or email us at totsukitoka.support@amanefactory.com. We will assist you to the best of our abilities. We apologize for any inconvenience we may cause, and thank you for your cooperation. Check on the baby in your tummy every day! 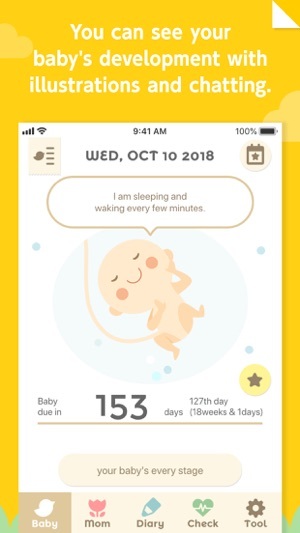 The cute illustrations of the baby will make different adorable gestures each time you open the app, and will grow based on the number of weeks of your pregnancy. The baby will also talk whenever you tap on the baby. 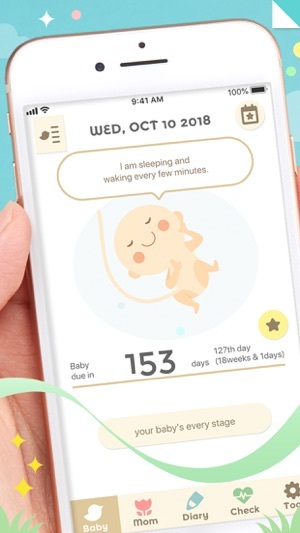 The baby's lines changes every day, and will send you messages of encouragement and information on the baby's condition. Manage your physical condition and medical checkups daily with just this app! By recording your physical condition and medical checkup results, you can manage your ultrasound photos and weight records all at once. In addition, you can save your maternity photos and memories of your pregnancy as a photo diary together with your spouse. First-time Mommy or Daddy? No problem! The week-by-week advice in 280days all come with illustrations! 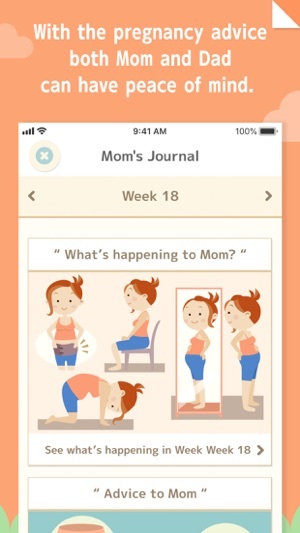 Enjoy reading and learning how the baby is growing, how Mommy's physical condition changes and advice on how she could spend her time at each week of her pregnancy. Mommy's physical condition records and the baby's condition can be shared with Daddy. There are also plenty of advice for Daddy at each week of the pregnancy. 280days will enable Daddy to understand pregnancy better and help improve the communication between couples. 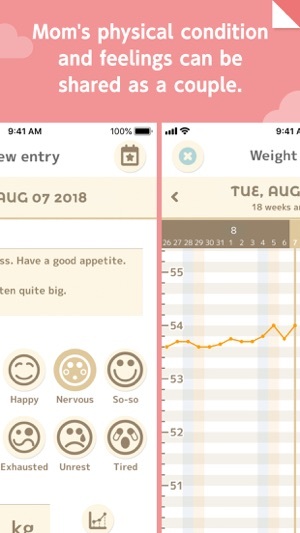 This app is fully equipped with functions to support you throughout your pregnancy, such as pregnancy countdown and weight management graphs! 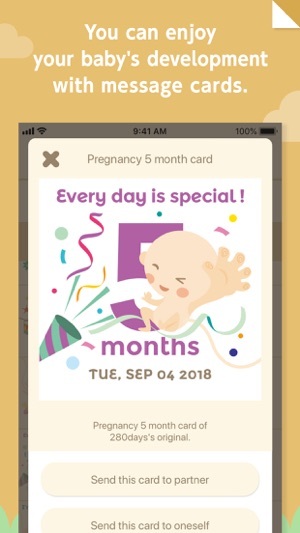 Enjoy your pregnancy even more by taking a commemorative photo of the baby's illustrations and upload it to your SNS, or send message cards celebrating your baby's growth! Turn your pregnancy records into a book! You can export all your pregnancy records saved in 280days to an easy-to-read layout exclusively for books. 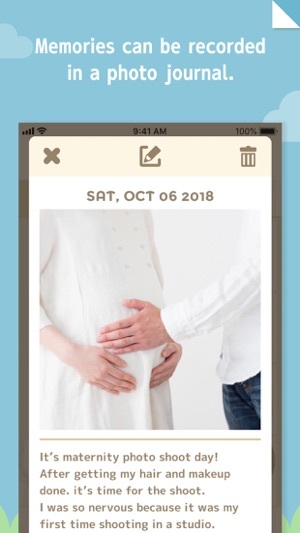 Preserve your priceless memories of your pregnancy saved in the app, such as ultrasound photos, maternity photos, diary entries and the cards you exchanged, in a single book. We check the reviews from time to time to receive valuable feedback and opinions from our users. 280days connects the family during pregnancy, and nurtures new ties. We hope you enjoy a wonderful 280 days. Thank you for always using 280days. * Now a pop-up to celebrate childbirth also appears on dad’s app. * The location of a button for Delivery Journal can be found more easily. We will continue to make improvements in order to provide better services to our users in the future. Thank you for always using 280days. Great for dads to be! As a dad to be, I just love this app. I probably wouldn’t know nearly as much about each stage of our baby’s development without 280 days. It’s well designed and interesting like every great app should be. I honestly check it every day and sometimes it even brings me close to tears with its poignant advice. 5 stars. My partner and I love this app!! We don't see each other often and this app helps us stay connected with each other and the baby!! We love the cards and extra messages you can send your partner! It's very helpful to know your partner is thinking of you both !